Here are some answers to questions that you may be asking yourself. 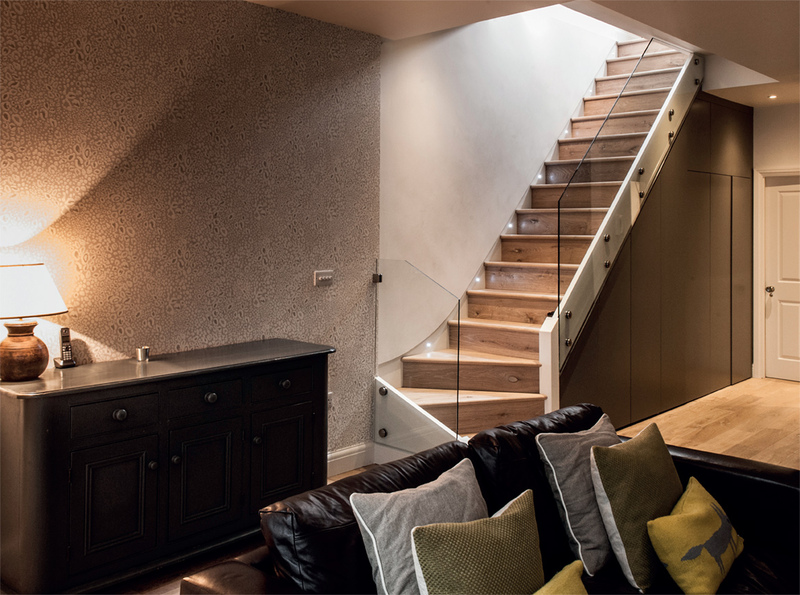 Estbury Basements have a vast amount of experience within basement construction, with a design team and fit-out teams to match, Estbury Basements can offer you the best possible service. A medium sized company that prides itself in its personable approach and putting the customer first at all times. The two Directors deal with all customers face-to-face with there always being a presence of one on site you will always have that reassurance that you are not alone. No, not at all, we can create a basement if you have nothing but solid mud under the house!!! How much head height can I have? We would suggest a minimum of 2.4m although where possible 2.6m would be ideal. As for how high, there is no real maximum although we would suggest the height is in proportion to the width otherwise if it's too high you end up with something that looks like a narrow corridor and too low makes if feel confined. Although be aware the higher you go will have an affect on the price. Is it possible to create a basement of more than one level? Yes, as long as you can obtain planning for it, Estbury can construct it. Will my basement be damp? No - Estbury Basements Ltd. are fully qualified to install Delta Membrane, which is a market leading waterproofing system that is designed to keep all water out of your basement by use of a wall and floor membrane and sumps and pumps. This will guarantee your basement will be damp and water free. Can I live in the property whilst the works are in progress? Yes. Nearly everyone of our projects are undertaking with occupants in place, the odd client that does move out is generally because they are renovating the whole property, and this is fine too. 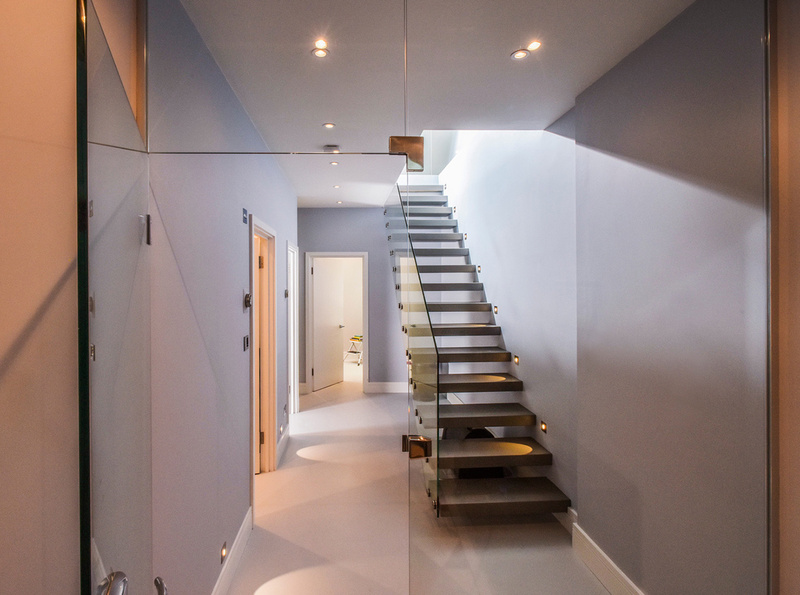 Does a basement conversion require planning permission? You will require planning permission if you wish to make you basement into a habitable living accommodation and also for any change to the external aspects of the property, for example lightwells. Do I need to advise my neighbours about the proposed basement construction? Yes, you will need to have a Party Wall agreement in place to protect both you and your neighbours. We can assist you with this if you wish. Is it possible to take a basement construction beyond the footprint of the house? Yes. As long as we can obtain planning we can create a basement under your entire footprint of your house, your garden or your boundary. For the initial construction and waterproofing stage this can take anything from 8 weeks to 20 weeks depending on size. When we supply you with a quote we will give you an estimated time duration and endeavour to finish before these dates. Are there any guarantees on the work? Estbury Basements guarantees all of its work for 10 years and all waterproofing products are guaranteed for 30 years. What kind of insurances do Estbury Basement carry? We hold the highest type of insurance available for Basement construction, please feel free to request details.